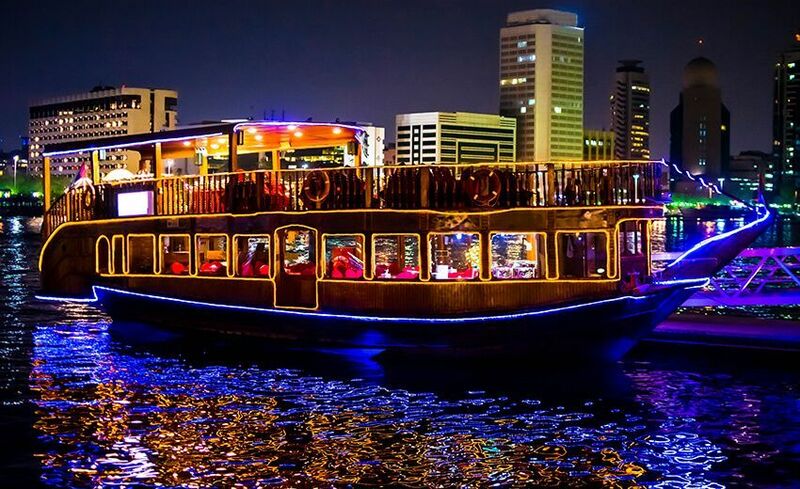 Enjoy magnificent views of the Dubai Creek and experience the true heritage of Dubai on evening dhow cruise. 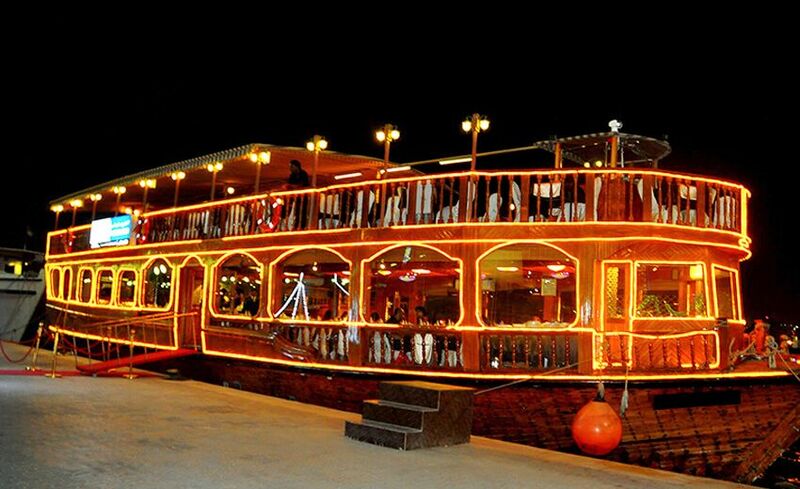 Take in sights including the gold and spice souks, the Heritage Village and the Rolex twin towers. 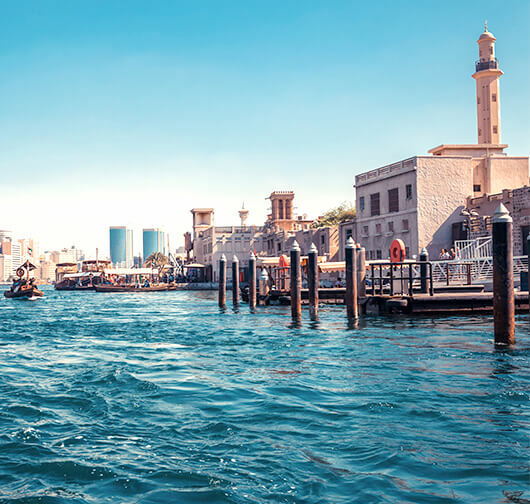 The creek flows between Deira and Bur Dubai in the city’s historic center. When trade with the outside world began over a century ago, this protected inlet was seen as the ideal place to develop a commercial seaport. 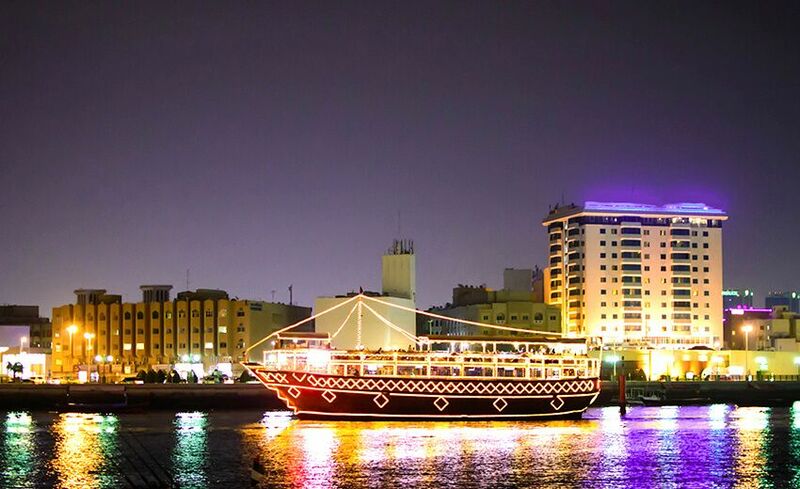 Pick up from your Hotel approx by 07:00 PM Board the cruise and experience 90 Minutes Traditional Dhow Cruise Our crew member will welcome you with soft drinks, Water, Tea & Coffee. 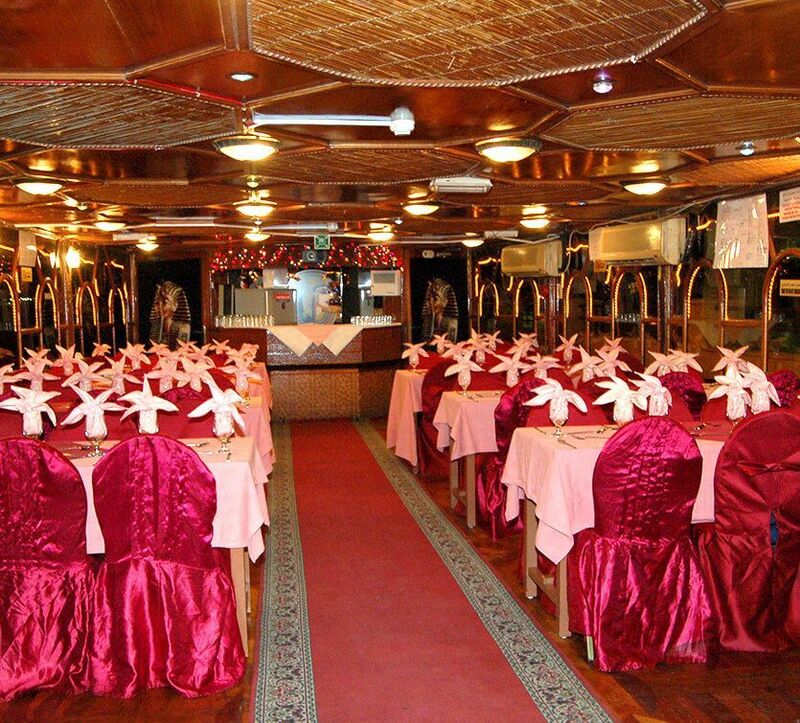 International buffet dinner with a choice of vegetarian and non-vegetarian dishes Access to fully air-conditioned lower deck and open air upper deck Followed by Entertainment shows / Tanura Dance.